Happy Birthday Athol! 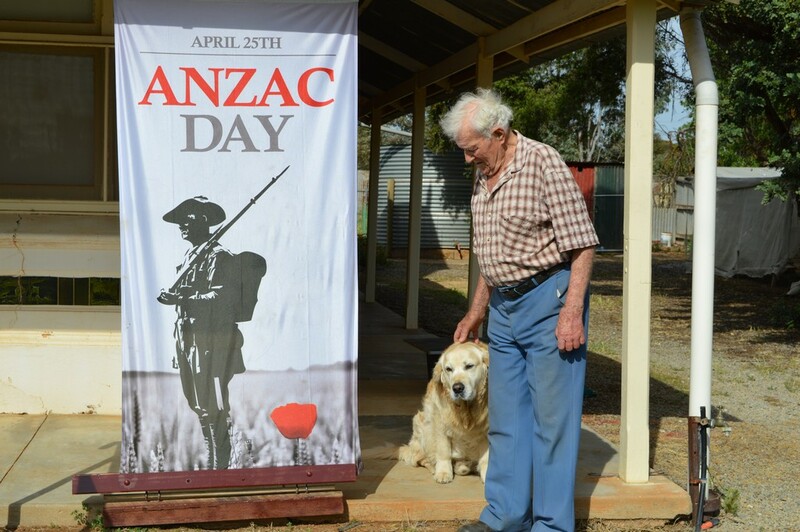 Athol Kelly, designer of the Australian sporting flag has reached a 90 year milestone. 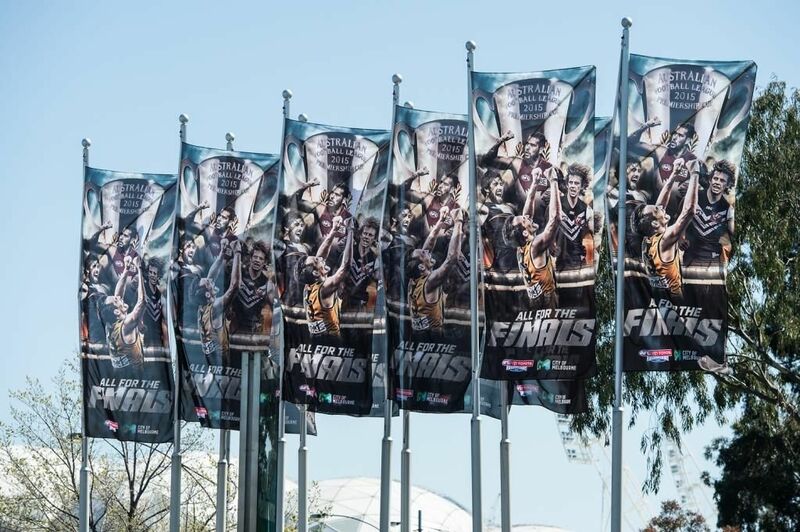 It's a Flag World in Canberra! 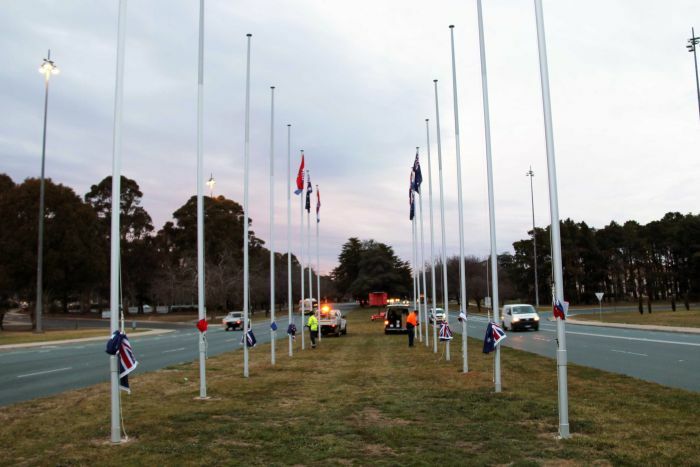 Canberra flies a lot of flags, see the article about where are they kept and who looks after them, and guess where many flags around Australia are manufactured... At Flagworld! 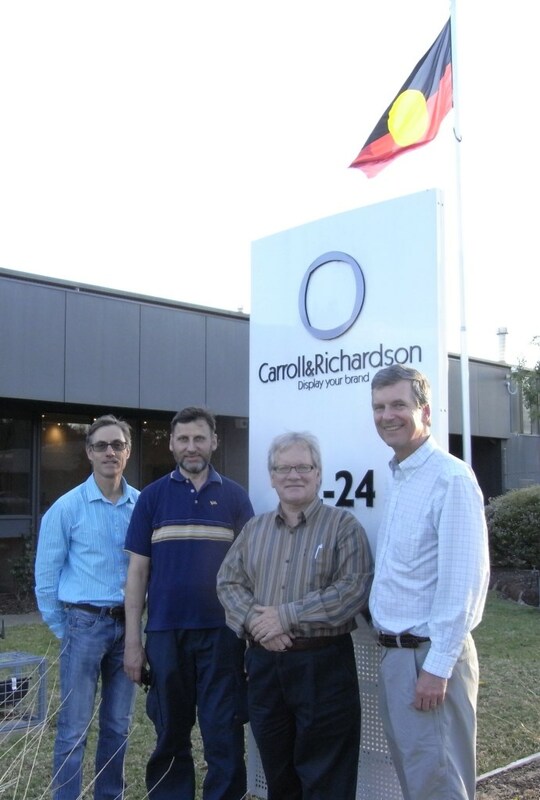 Flagworld has installed a 75kW solar panel system at our factory in Mulgrave to generate electricity. We will now be importing a much smaller amount from the grid. 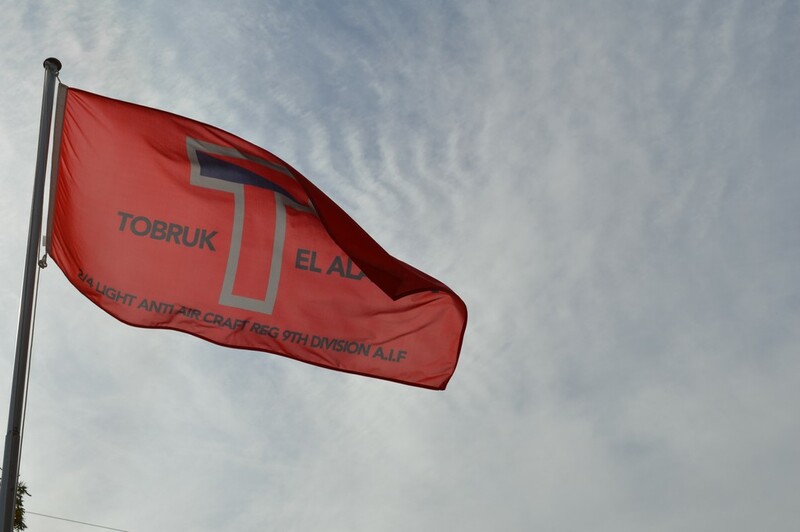 Flagworld Flags Reach Everest’s Summit! On May 27 John Zeckendorf, friend and donor to Power to Change, reached Everest's summit and then risked frostbite to bring you this impressive photo. He is aiming to raise $29k to fund field strategies connecting people to Jesus and with each other. 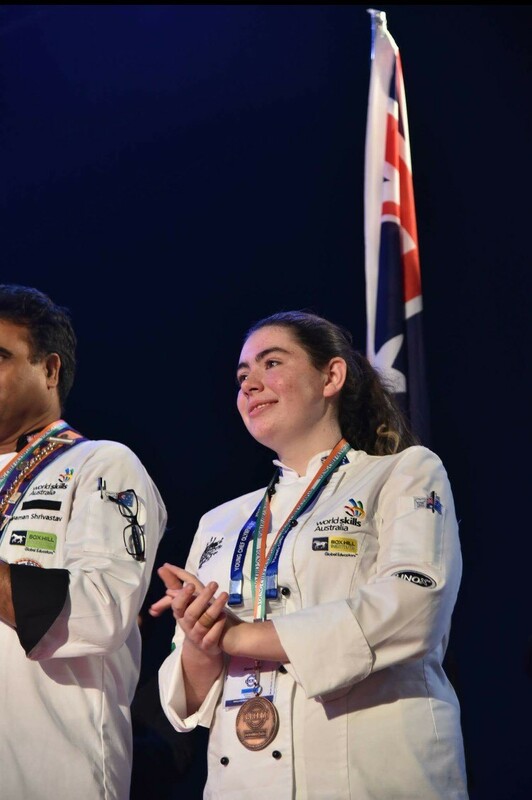 Flagworld was proud to donate 2 flags to talented 17-year-old chef Emma Cook, as she represented Australia at the Young Chef Olympiad 2017. As you know I represented Australia and Box Hill Tafe in the 3rd Young Chef Olympiad 2017, held in India. 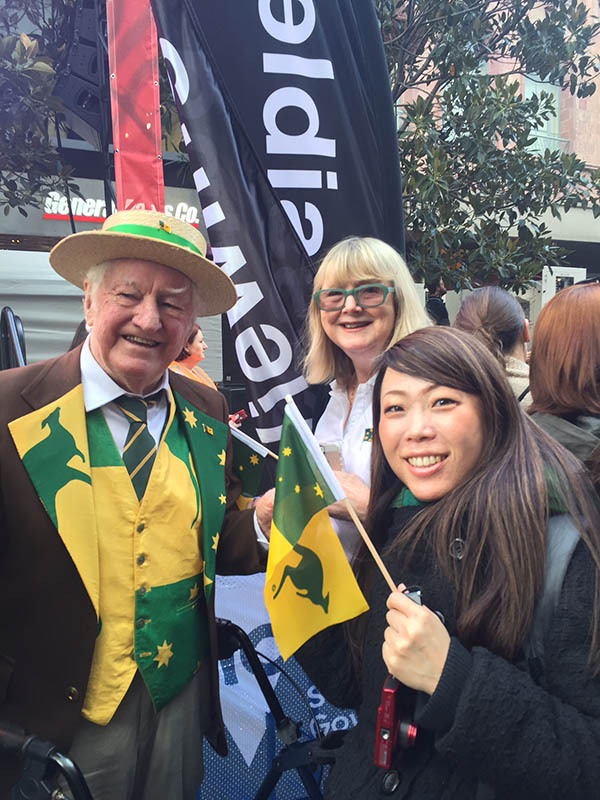 You generously gave me 2 amazing Australian flags for display during the competition. I am proud to say that of the 45 countries to compete in the Olympiad I was not only the youngest competitor to ever compete, but the first Australian to make the final top ten round. 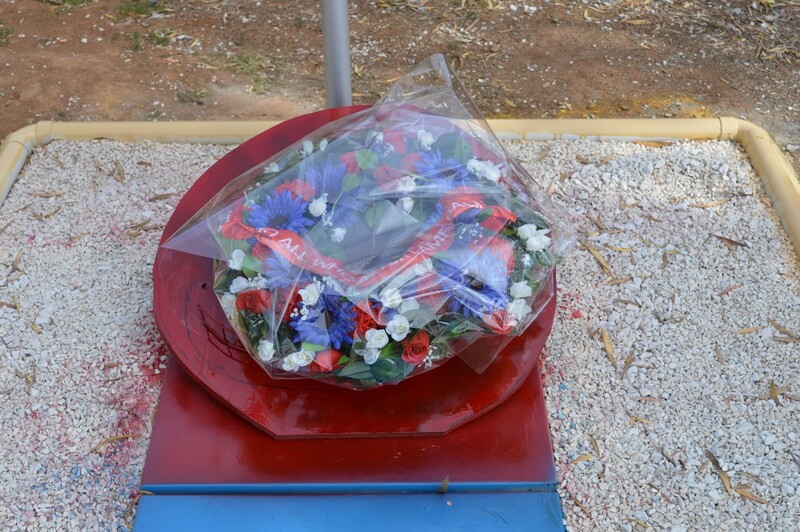 It was an exhausting challenge and made that much more achievable, by the kind, and generous support from you. Congratulations Emma on your fantastic achievement and representing Australia in this way! 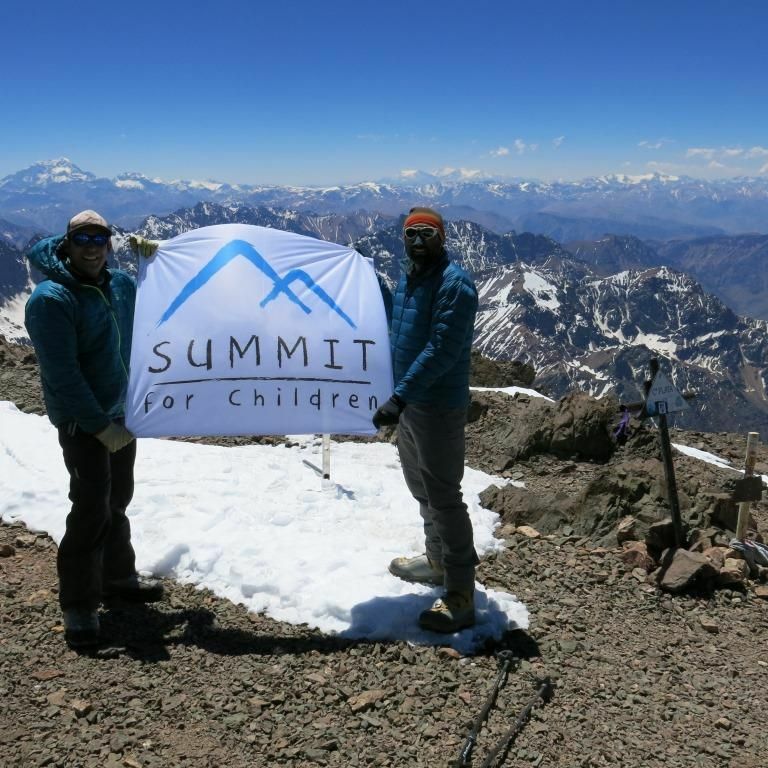 Summit for Children - Fantastic Flag & Cause! "Cerro Plata" in Argentina, 6050m. A fantastic cause aimed at preventing child abuse and to supportting kids caught in this tragedy. The Flagworld team would like to wish one of our amazing customer’s Jeff English a very happy 92nd birthday for tomorrow! 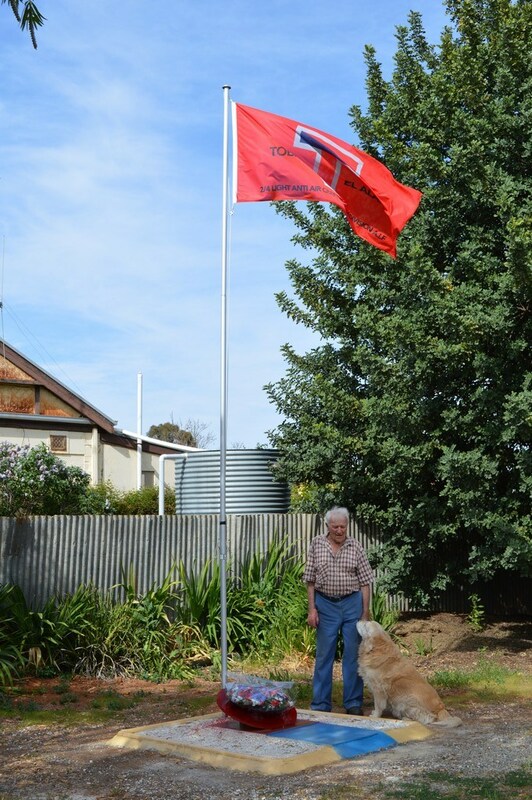 We were kindly sent some photo’s of this proud WW2 veteran with the flag that we manufactured for him of his WW2 battalion, along with an ANZAC day banner we also supplied to him. Thanks Jeff for your wonderful efforts serving our country and we wish you a fantastic day! 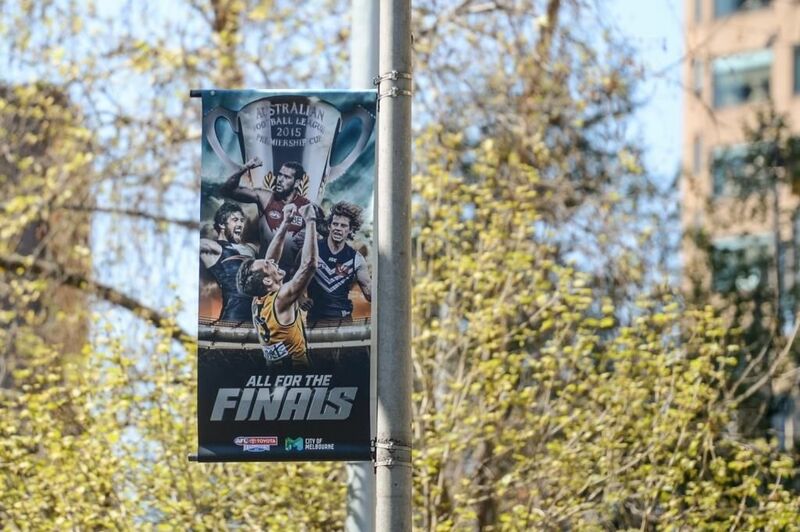 We are passionate AFL supporters here at Flagworld & love creating flags for the Grand Final. 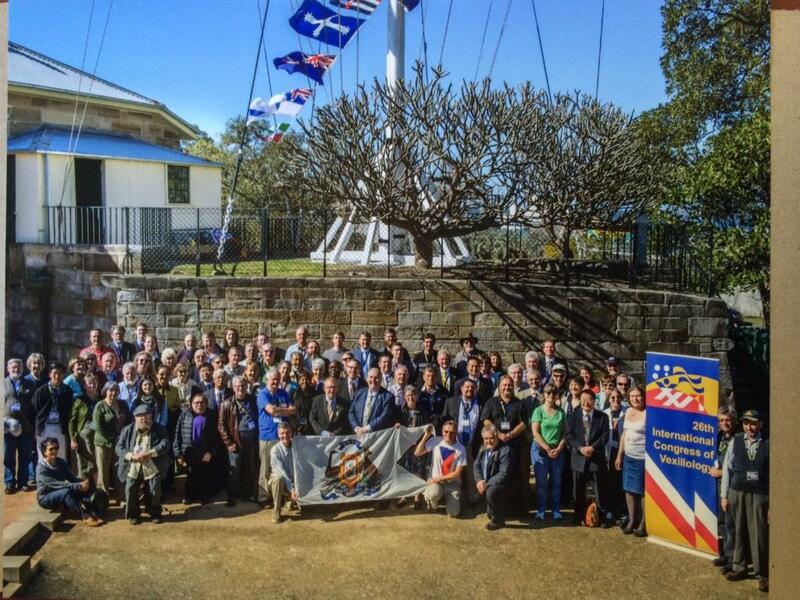 Following the 26th International Congress of Vexillology held in Sydney in September 2015, several of the attendees visited Flagworld to learn more about our business. 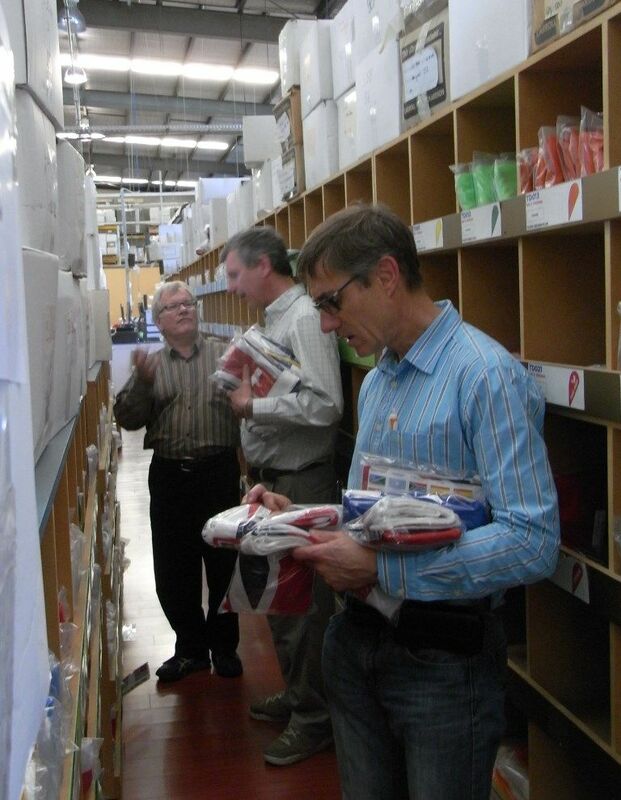 Our Managing Director enjoyed showing them around our office and warehouse in Mulgrave. 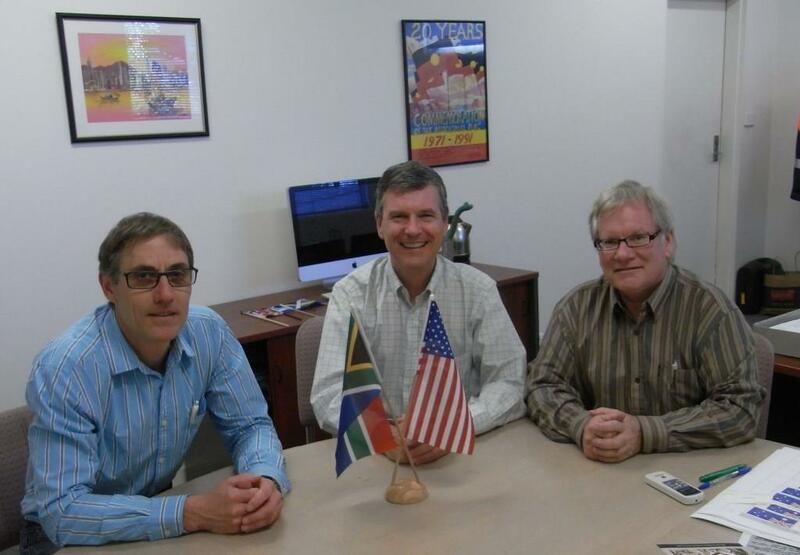 The visitors from left to right are: Bruce Berry (South Africa), Ralph Bartlett (President of Flags Australia), Wayne Gregory (Managing Director of Flagworld) and Ted Kaye (USA). Thanks for visiting and we hope to meet up again soon!